The street outside is brimming with activity as locals celebrate the unusual appearance of a summer-like day amidst a rainy spring season. The timing of the Texan’s visit north is serendipitous, but then, everything about the last few days – which has seen LaBelle cross the Atlantic twice and taken him from the heart of the Spanish Capital to the belly of the EA SPORTS™ complex in Vancouver, Canada – has carried an air of the strange for the business student from College Station, Texas. Michael’s journey started with a 26-second-long goal celebration video called La Cirque Labelle. The YouTube video was submitted to the FIFA Interactive World Cup 2013 Celebration Contest. 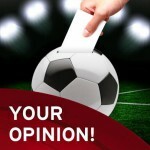 The contest called for fans to send in their homemade goal celebration videos, with a shortlist then presented to the YouTube community for voting. The prize was massive – a trip to watch the knockout phase of the FIFA Interactive World Cup 2013 Grand Final in Madrid followed by a second-trip to Vancouver where the contest winner would get to experience the motion capturing of their celebration video at EA Canada, current developers of the FIFA franchise. The fact that I got to direct a little bit was really nice of EA. They really allowed me to influence the capture of the celebration. 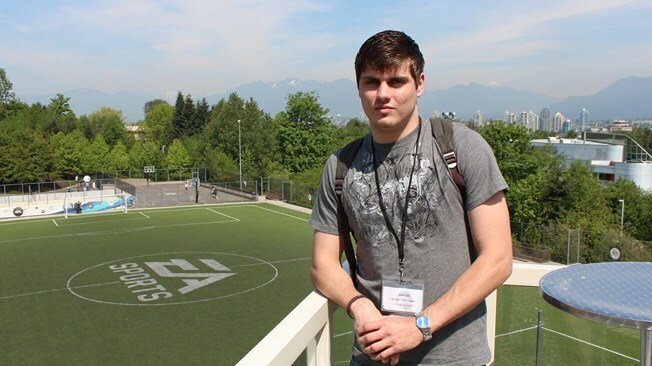 As a competitive gamer the French American is no stranger to the FIWC main event, having participated in two Grand Finals and attended a third as a player’s guest. Michael’s fourth trip to the Grand Final would be an all-together different experience. Standing on stage at the TeatroGoya© in Madrid alongside Grand Final host Kay Murray, Michael watched his celebration video play on a movie screen eight metres high and 18 metres wide. “I think everyone that plays FIFA wishes they could have any kind of influence on the series,” Michael told the audience before receiving his prize. Labelle was impressed by the level of quality on display in the final knockout phase of the tournament. They were all competitive, all close matches and people made the right decisions at the right times, If you had this moment of possible greatness or where you were going to fail, most people rose to the occasion. The seed of Michael’s celebration video was planted on a recent trip to Las Vegas where he watched a Cirque du Soleil performance. Le Cirque Labelle has three main characters and includes a fainting goalkeeper, a mime, a gymnast jumping through a hoop and, finally, a curtain call. The goalkeeper is Michael’s roommate and the aerialist is also a friend. Michael created several unique celebration videos on his search for the winning formula. In the end, the simplicity and fun of Le Cirque won him over; it would have the same effect with voters. I’m very thankful that I got the votes that allowed me to do all these things, I didn’t think I’d find myself in Madrid let alone Vancouver. During his visit to EA Canada, Michael received a behind-the-scenes tour of the campus and met with several key EA staff including game developers, producers, and marketers. However it was the final portion of the tour that would leave him floored. A long afternoon session in the Motion Capture studio saw Michael taken through the same motion capture process used to create players in the FIFA-series. Under the guidance of EA staff and to his delight, the contest winner, actors in skintight suits adorned with reflective balls shifted the celebration from one reality to the next. I think it’s a surreal experience. The fact that I got to direct a little bit was really nice of EA. They really allowed me to influence the capture of the celebration. We can’t wait to see if the celebration makes the final game of FIFA 14.